Here is my "new" 1986 442. Yep it's the same color scheme as my wife's. Below are two pics I got from the previous owner. 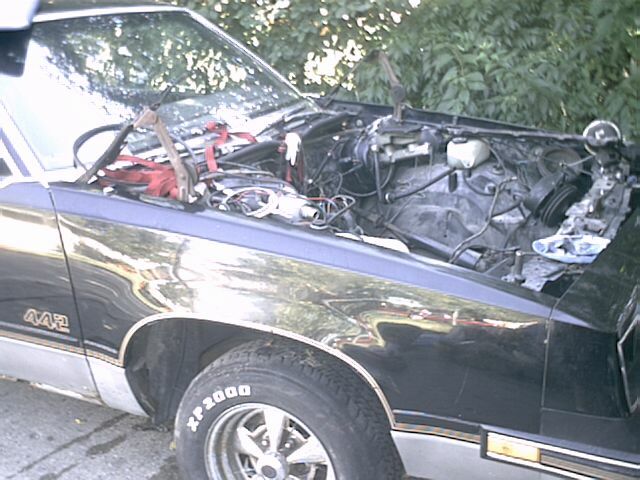 For now it has a small block Chevy in it but I will replace that with an Oldsmobile small block in the future. Either a 461 BBO, 350 SBO or a 307 SBO. I have one of each. It needs a little work but I love the G-body Oldsmobiles and they seem to be getting harder to find in nice shape at a good price. Here is the 305 on it's way out. No it's not foggy, I just have a $20 digital camera. 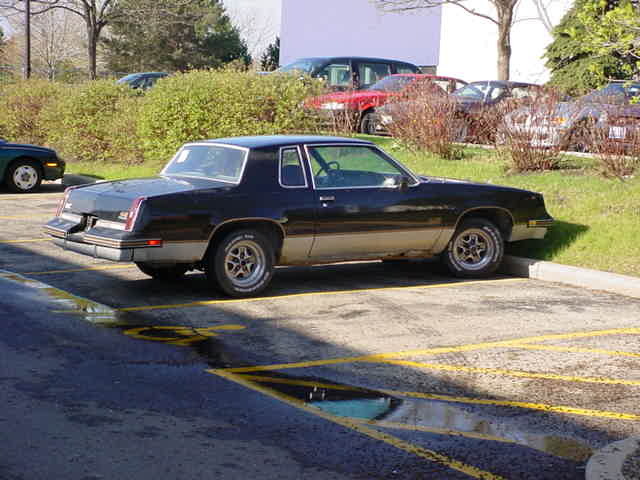 I have decided to put the 461 Olds in at least for a little while depending on the gas mileage and transmission durability. It has the stock 2004R and a Q-jet, I am hoping for 15mpg, we'll see. 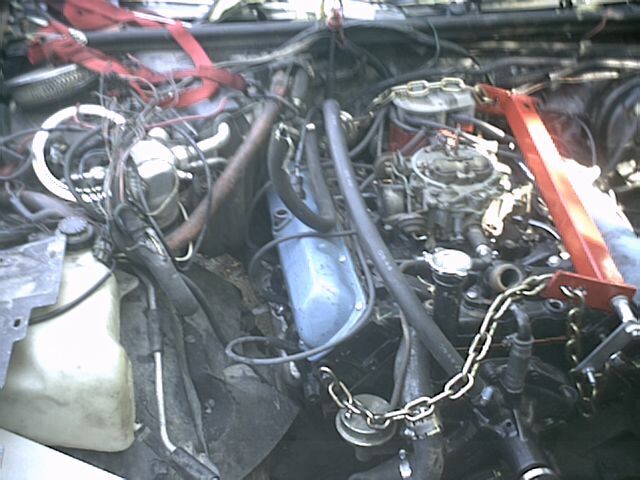 I pulled out the 305 Chevy that was in there in preparation for the 461 swap. Here are some pictures. 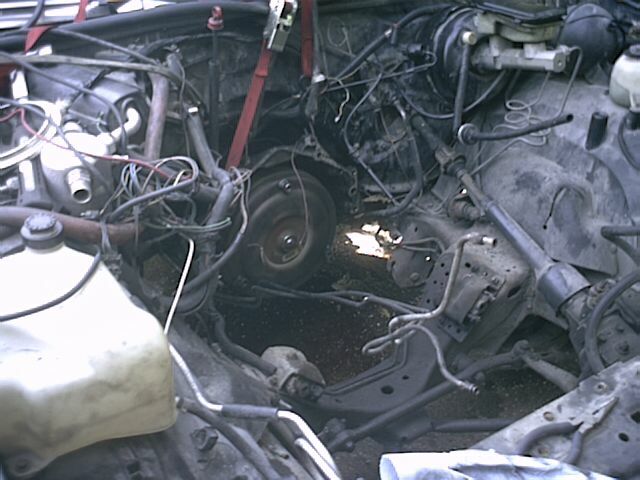 Here is the 455 sitting in the engine bay. 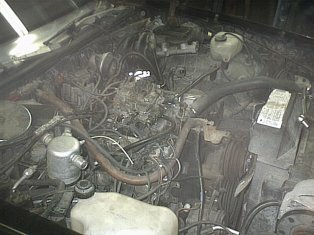 It has "Oldsmobile" embossed valve covers (circa 1973/74) that clear the A/C box by about 1/4-1/2". I am running a 800 cfm Q-jet and stock intake for now. I have a Performer intake I am going to put on later. It also has stock crossover exhaust manifolds. I will be buying or making a set of headers for it in the future. 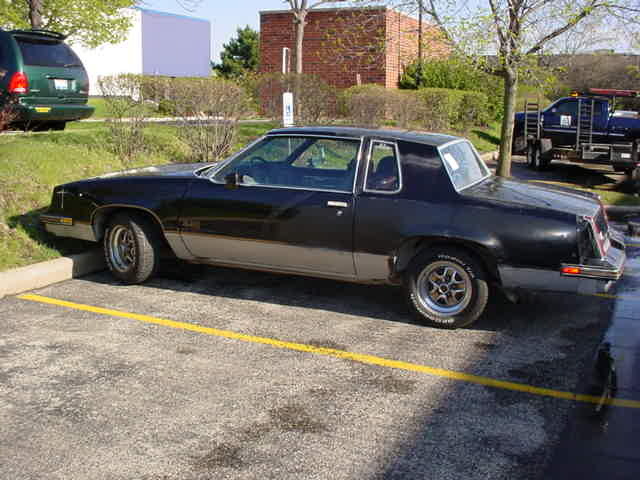 I recently found out that the original 2004R was swapped out and I have a Monte Carlo SS one in here now.